The San Francisco 49ers today announced the team’s 2019 preseason opponents. 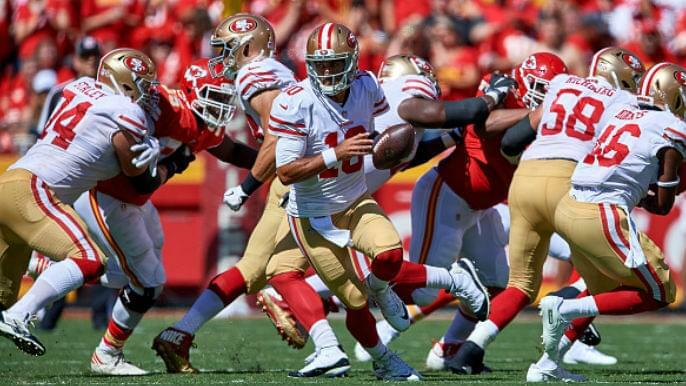 The 49ers open the 2019 preseason at home versus the Dallas Cowboys before hitting the road in back-to-back weeks with trips to Denver in Week 2 and Kansas City in Week 3. San Francisco will close out preseason play as they host the Los Angeles Chargers at Levi’s Stadium in Week 4. It marks the 17th preseason matchup overall between the two clubs, with the 49ers winning the most recent meeting, 24-21, at Levi’s Stadium in 2018.